Fancy making some pretty crochet baubles to coordinate with your colour scheme? Full tutorial here! My Craftsy pattern and tutorial for '80s throw back legwarmers. Remember them? So retro now! My Craftsy tutorial on how to make a super efficient mug cosy for a BIG mug. Its big enough to be a cowl! 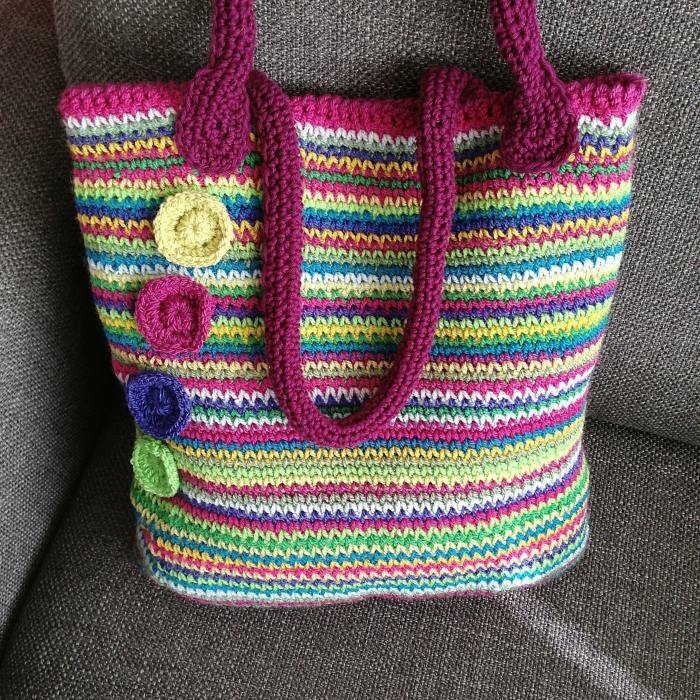 The colourful rosettes used to decorate the rainbow crochet tote bag - useful for decorating any bag. A quick and easy technique for closing rounds when making crochet circles or working in the round. No more seams! 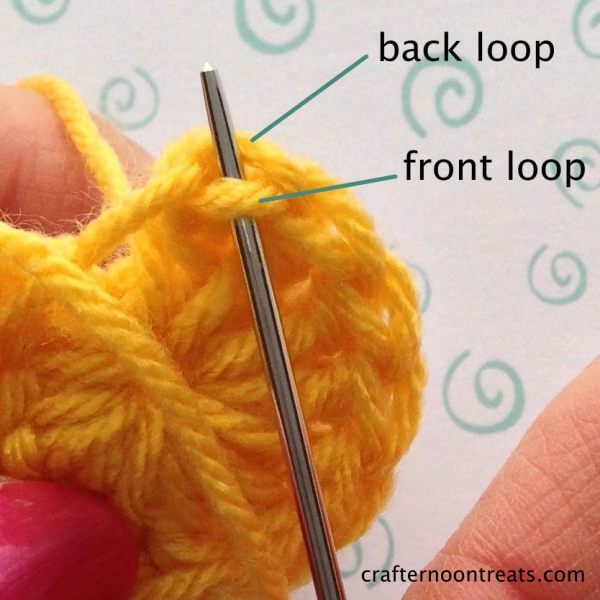 Detailed step-by-step tutorial on making a half treble (UK crochet terms). This is the half double crochet (hdc) in US terms. My Craftsy tutorial on just what you can do with a half treble (UK crochet terms). This is the half double crochet (hdc) in US terms. Crab stitch is a neat and firm edging to blankets, bags and more. An easy stitch once you get the hang of it! Waistcoat stitch is a dense form of double crochet that looks a lot like knitting! Used in the rainbow tote bag. Common problems you might face when crocheting a neat ripple - and how to solve them. As well as my crochet blog, I have a crochet podcast and I’m active on Facebook, Instagram, Twitter and Ello. I’m also the founder and main admin of two crochet Facebook groups – Bagalong with Crafternoon Treats and The Crafternooners. New members are always welcome. Send a request and me or one of my lovely admins will approve you. 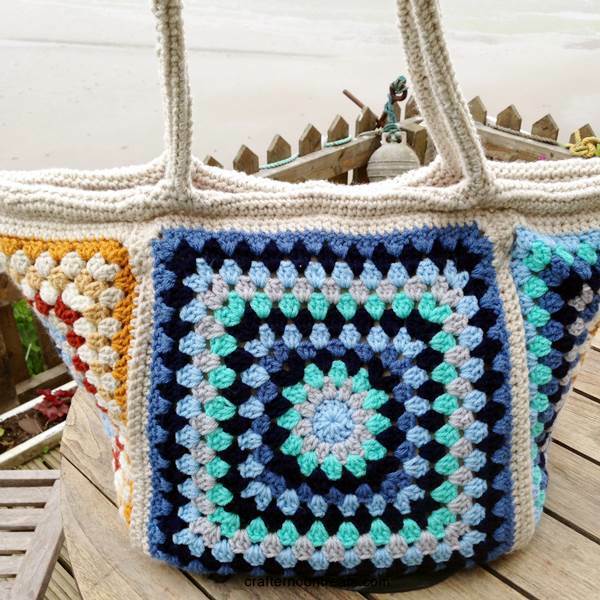 Our rules are simple – its about crochet and fun and we are all supportive and kind.